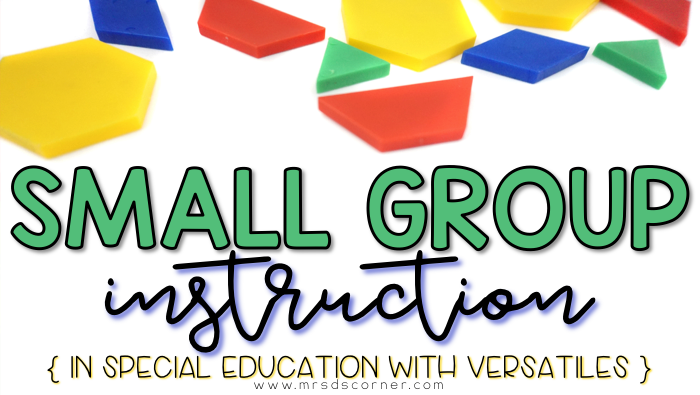 Small group instruction is the focal point in any classroom these days, especially special education classrooms, to meet the needs of all students. 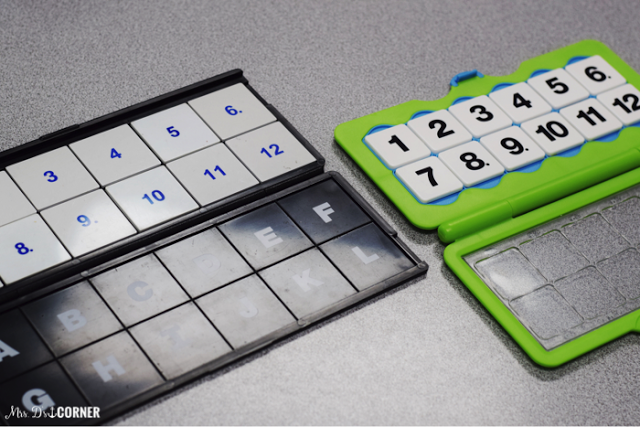 And with technology as prevalent as it is in daily life, it’s sometimes difficult to keep students engaged in activities that are naturally less than thrilling (let’s be honest, 1+1=2 is not always fun). 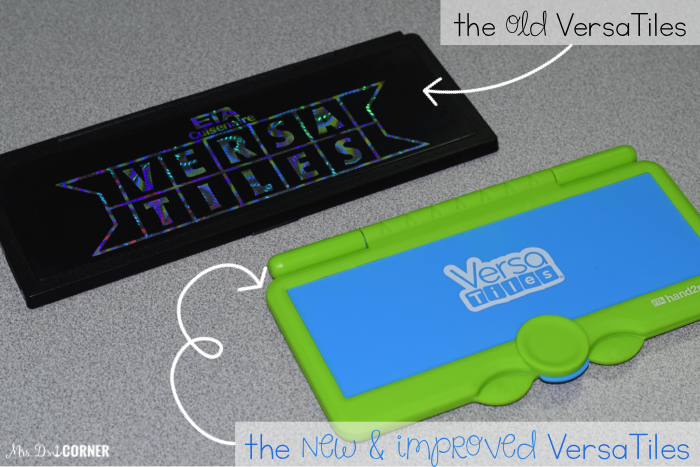 Let me introduce you to VersaTiles, an ETA hand2mind self-checking system that is fun and easy to use with any grade level of students. helping students develop fluency of key concepts and skills. …so when ETA contacted me, asking if I’d like to try out the new tile boards with my classroom of special needs students, of course I wanted to. I am always open to trying new things, or retrying old things that have been updated to better fit the needs of all students. And I absolutely love activities that can easily be differentiated to meet the needs of my students. I actually have an old set of VersaTiles in my classroom, so as soon as the new set arrived I had to compare and contrast the new with the old. Let’s be honest again… the new stuff ROCKS! The concept remains the same, but the entire case is different now. The tiles are thicker (easier to pick up) and have larger numbers on them (perfect for students with vision deficits). 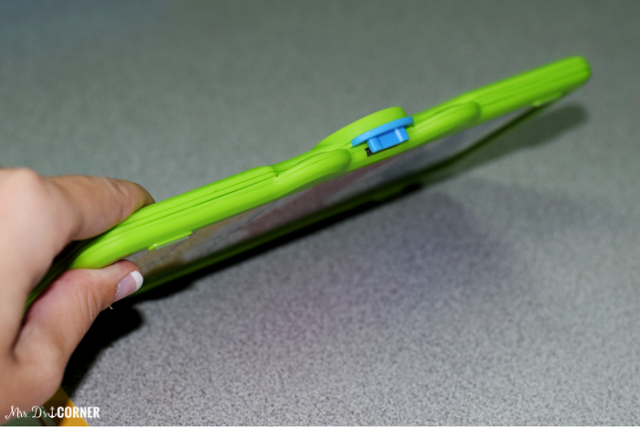 The cases are a tad smaller, but are overall thicker AND they have little gripper feet so they don’t slip on desks. GENIUS addition. I really like the clear cover, which really helps in the self-checking process too. The First Grade math set is what was sent to me, and these are all of the books/topics that come in the set. 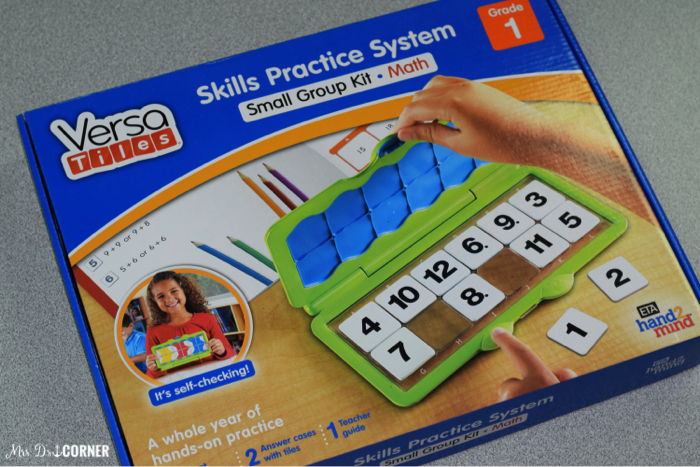 Each small group, grade level – subject specific set is $69.95. Images and art within the books provide great context for students, making the content more accessible to all learners. There are also tips and examples embedded within many of the pages, which is the perfect support for independent and small group work. Before copying, I will cover up the answer pattern (shown a few pictures below) with a post it so students can’t just copy the pattern without doing the work. That’s my secret insider tip! When students start working, all of the numbers need to be in sequential order on the top rows (blue). 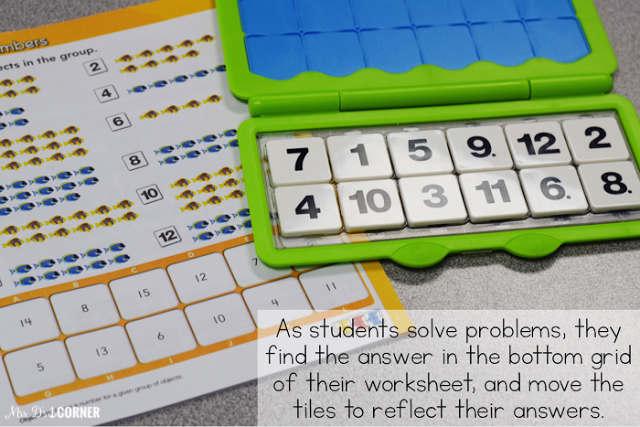 As they solve problems, they take that # of the tile (so if they are working on question 1, they will be moving tile 1) to the correct answer as determined by the grid at the bottom of the worksheet. They will keep working until all of the problems are solved. 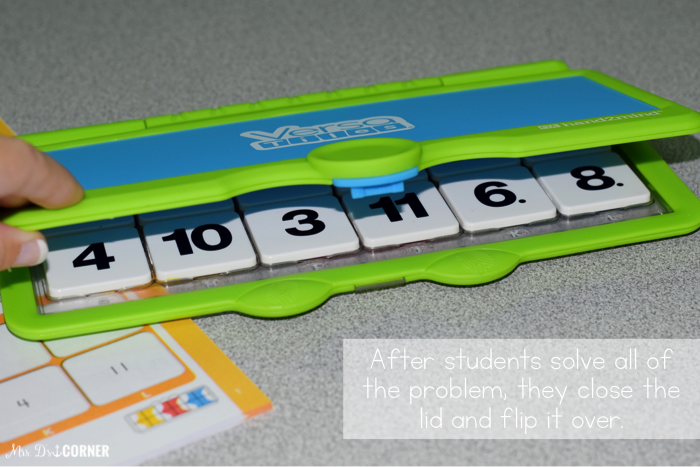 After students solve, they will close the lid carefully. The nice thing about the new tile boards is that they click closed easier and don’t accidentally open when the kids are flipping to self-check. Can you tell I’ve had one too many experiences of students’ tiles coming out of the boards before they could self-check?! 🙂 Not with the new tile boards! My favorite thing about the new boards is probably that the clear base, allowing students to self-check easier than ever before. 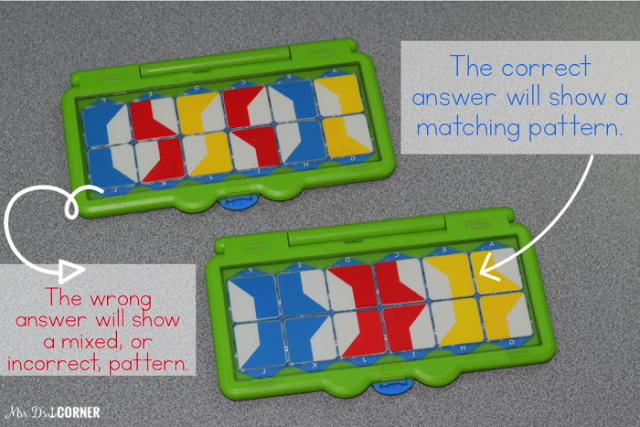 …if they have wrong answers, or misplace tiles, the pattern will be incorrect. 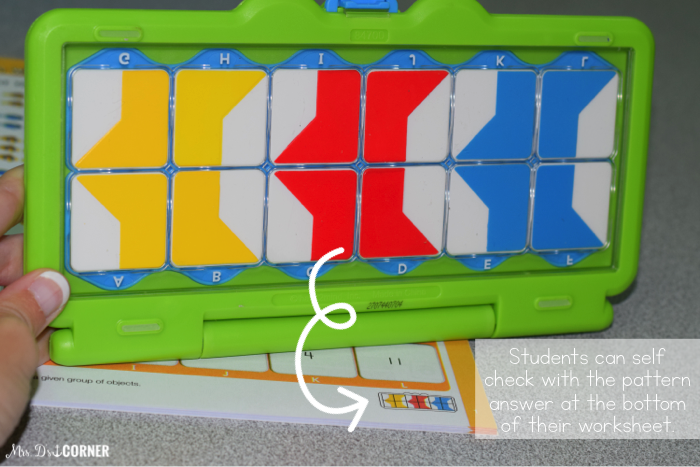 As with anything, it will take my kiddos a few experiences with the tile boards before they are able to utilize them independently. My goal is to have my higher ability students start on these with me, and then finish them independently. We will get there! 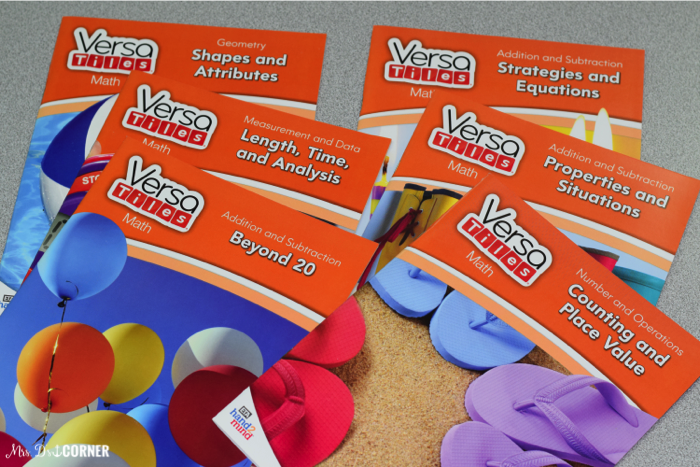 If you want to find out more about VersaTiles or if you’d like to order a set for your class, you can visit the ETA hand2mind website. 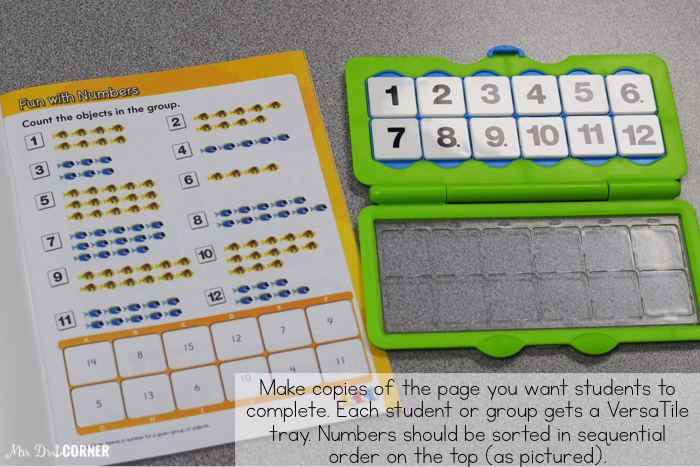 SO HAPPY you were able to utilize the small group kit with your kiddos! LOVE your detailed review with amazing images! It's so great to SHOW what HANDS-ON LEARNING looks like!